Optimize system：To make consistent improvement on the basis of ISO9001:2008 quality system. 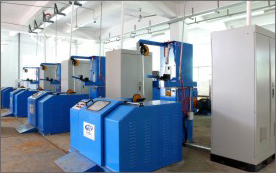 Design concept：To prolong service life of the machine,to make enery saving and environmental protection products. Incoming inspection：All the electrical components are of famous brand,and accepted by our company eith an inspection failure. Quality assurance：Over 24 hours debug plus on site test,that's the way we secure the quality. 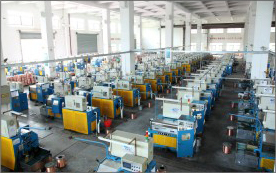 To meet the requirements of customers and market,GuanBiao has been concentrationg on improving our technology and reducing mechanical consumption always. 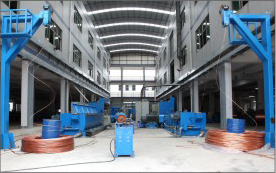 We aim to provide our esteemed clicents with the most competitive products and make the most mutal benifit for both parties,for this reason, we improve exsisting machines and develop new products with time,for instance, the special alloy wire drawing machine customized for MISUZU,JAPAN successfully;flat wire drawing machine for JIATENG COMPANY,etc. in a word,GuanBiao will keep our leading position with most advanced and reliable technology in this field.